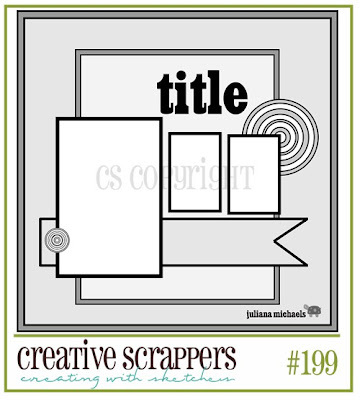 I have always found the sketches at Creative Scrappers awesome, and when I felt like creating a page, I went there in search of inspiration. Of course I found it, in the form of one of their lovely sketches and the DT girls inspirational pages. 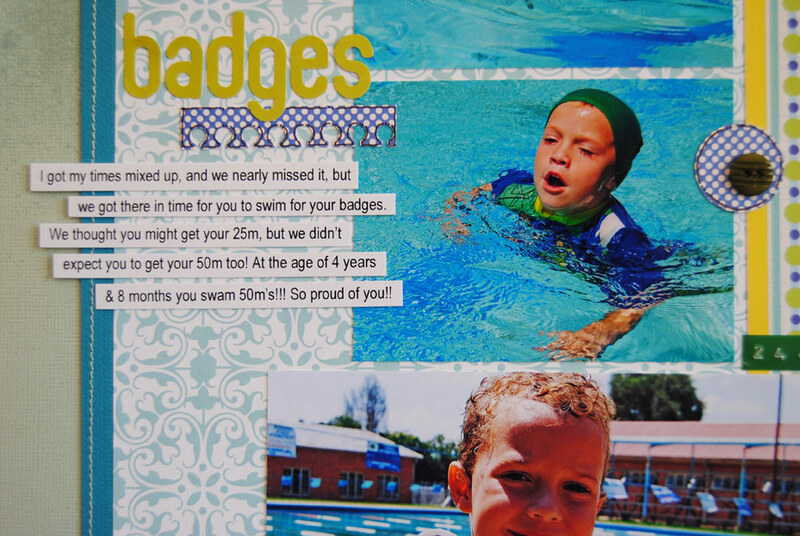 Here is the page I created about my youngest son's swimming achievements, I am so happy with the way this one turned out!!! Here is the sketch, I rotated it to to accommodate my landscape photos! It's a good one don't you think?!? 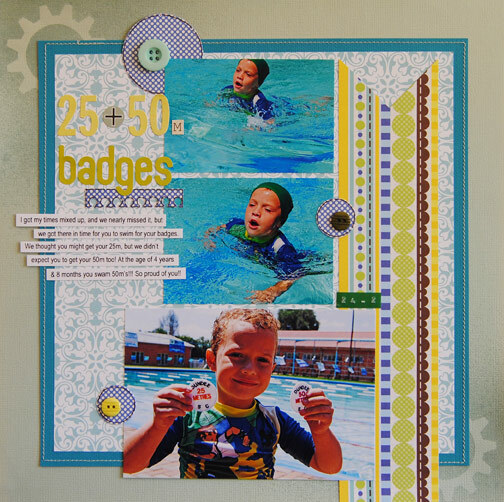 So a few of the products I used on my page were part of my purchase from the Scrapbook Studio, the yummy patterned papers, Tim Holtz mask (I LOVE the effect these masks give to a page! ), and American Crafts border punch (I can tell this is going to be my new fave!). So go and visit the Scrapbook Studio to see some of the lovely products they stock at excellent prices. I am off to the doctor shortly, Jamie has a really high temp!! I really love this page Rene'! What an incredible swimmer your son is at such a young age! I do hope Jamie feels better soon! I'm your newest follower and found your blog through The Outlawz.